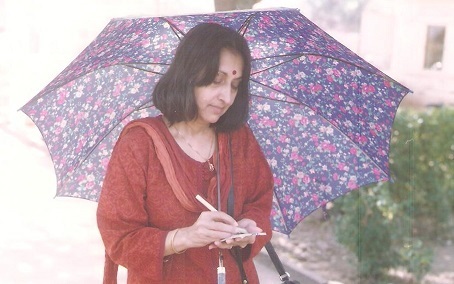 Veena Nagpal is an Indian author who have written many books till date, and we have reviewed two of her books so far. We found her quite bold and expressive about her thoughts and she is pretty clear in mind about what issues/stuff to talk about. And we like these qualities. It makes her books to stand out in the crowd. We are glad that we got a chance to have a mini-interview session with here and she have answered all the questions clearly. You may like to read her previous interview along with this suppliment. Without any further delay, here is the Q/A session for you all. Congratulations for getting your new book “Radius 200” released on World Book day 🙂 There can be no better way to celebrate the joy of reading and writing than this. Please express your feelings about the same. Yes it was good to have RADIUS 200 release on World Book Day. For me it was special for another reason. 23rd April is also my birthday. Why have you chosen “Radius 200” as the book title? Could you share your vision? The fictional nuclear attack on India, which is at the core of the plot of Radius 200, results in a huge devastated area in northern India. The government is forced to declare an Exclusion Zone – 200 kilometers in radius. The book depicts two totally different realities – the life of the tiny band of survivors inside the Zone and life outside. The fragile thread that binds the two realities is love. Can you share your vision for the cover page of “Radius 200”? A book cover – along with the title – should demand attention, arouse curiosity and titillate without giving away too much of what the book is about. A lot of thought went into the RADIUS 200 title and cover. A number of alternate titles and cover designs were made. Ultimately after much brainstorming and debate, my team zeroed in on the present cover. I will wait for reader reaction on our choice, but personally I think my team has done a great job on it. How do you choose the names for character, is it pure intuition or somewhere is therea backstory associated with each of them? Sometimes characters make their own demands on the author. In RADIUS 200, for example, the character of Kyra was first named Pooja – she turned out to be quite a wimp. When I drastically changed the character she refused to go by the name of Pooja. So Kyra she became. An author loves all the characters he/she creates, however surely there are favorites. Can you share which is your favorite character(s) in “Radius 200”? I don’t necessarily love – or for that matter hate – any of the characters in the worlds of my books. I just observe – and try to put into words – their story as each one plays out his/her role. To find a favorite, I would have to read the book again – and frankly I hate to go back and read my own work. By the time any one of my books actualizes I have already left that particular world far behind and stepped into another world of another book. I would rather leave readers pick their own favorites. What are the unique characteristics you would like to draw our attention towards for each of them? I do hope my characters have enough gumption to draw readers’ attention to themselves without my having to put in a word for them. Frankly they are out of my system – living their own lives out in the world of readers. What relationships they develop with readers is now entirely up to them. I have no control over them any more – not that I ever had too much control even when they were under creation! It was Samuel Johnson, I think, who said that a writer only begins a book it’s the reader who finishes it. The same would apply to characters too. It’s the readers’ interpretation that counts. I know that you are quite bold in expressing in your opinion (and it should be that way). Do you think that talking about Indo-China relations and Brahmaputra water could have raised some eyebrows? Writers write because they are consumed with a passion to explore human relationships working out in varying life situations. Eyebrows raised or otherwise, can hardly be allowed to become an influencing factor. What are your favorite lines in RADIUS 200? Strange are the ways of this world. Pride and humility, love and jealousy, joy and anger, revenge… and in the end, always an inevitable sense of anti-climax. To be born human is such a very humbling experience. No one can guide destiny, not one’s own, not another’s. Each one must learn through their own experiences, each one taste the bitter sweet fruits chance may dish up to them, each one live their lives within their own daayara. Would there ever be combat of that type again? Raw courage, rush of adrenaline to spill blood, your own or another’s for a piece of cloth, a piece of barren inhospitable land? Would that now rarest of rare medals, the ParamVir Chakra, ever be forged again for a chest, near bursting with that kind of pride? Life is bizarre. For years you live in the midst of friends and family, assuming belonging, and suddenly one day you find they were just strangers after all. Then again, sometimes you come across a total stranger who takes you to her bosom as if you were her soul essence. What are your favorite book genres when it comes to reading? I don’t care too much about genres – I like to read books that don’t just tell a story but tell it in such a way that I become part of that world. Books I like best are books that help me get in touch with the depths of my own thoughts and feelings. What are the books you are reading currently? Water is one of the most important resources we need to care for. What in your opinion we should start doing or developing habit of, to preserve this great resource? One thing we have done in our own home is to install an Overhead Tank Level Indicator. It indicates water levels and gives out a shrieking alarm as soon as the Overhead tank is full. Overflowing overhead tanks are such a common sight and I just hate to see the waste. Do you think that our ancient literature documented about many such resources quite effectively? What in your opinion we should learn from it? Our ancient literature amply documented our reverence towards natural resources. The Shanti mantra is an example. If you pray every day, twice a day, for peace for each of the natural resources how can you abuse it, and once you do not abuse natural resources, surely the resultant peace will devolve on you too? Every book, in a way affects its author. What are the changes you experience after writing this book? If there is one lesson I have learnt from each of my books, it is the importance of leaving each one on the back burner for long enough. When I go back to the book I can immediately see where I need to edit or rewrite. How do you think E-Books (and eventually E-Book readers like Kindle or Smartphones having Kindle or other similar app) have changed or affected reading habits of people? How do you see it? I’m a self-confessed e-book addict! Basically it is because of the ease and convenience it affords and the feeling that I have all – or almost all – of my books with me all the time! I do think that reading will go more and digital as years go by but as of now there are so many readers out there who still have to have their ‘feel-smell’ fix from the book they read. So no, print books are definitely not on their way out. As of now only Kindle E-Book edition is available for the E-Book, are we going to see printed version of “Radius 200” soon? Oh, certainly there is a print edition coming. Soon! As you prefer to write about something substantial, which could a fantasy but connected to reality, what is in your mind for your next venture? I have three books in the half done stage, simmering on back burners. It’s too early to say which one will actualize first. Is there anything else you want to add from your side? Like any other writer, I’m hungry for feedback. 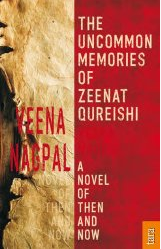 So readers please connect – directly at veena.nagpal@rediffmail.com. I’d love to hear from you. I thrive on feedback! Hope you have enjoyed the conversation and found some of your questions answered by her. We found her a person with clear and firm thoughts about various stuffs. Which other authors you like to interview us for you? Do let us know your thoughts and remarks via comments below. Do not forget to share this article with your friends over various social networks via Twitter, Facebook, Google Plus and others. And yes, you may like to subscribe to our RSS feeds and follow us on various Social networks to get latest updates for the site to land right in your mail box.